« Hanging out for Holidays? Get Hung up on Holidays! I CASED this idea from Splitcoast. 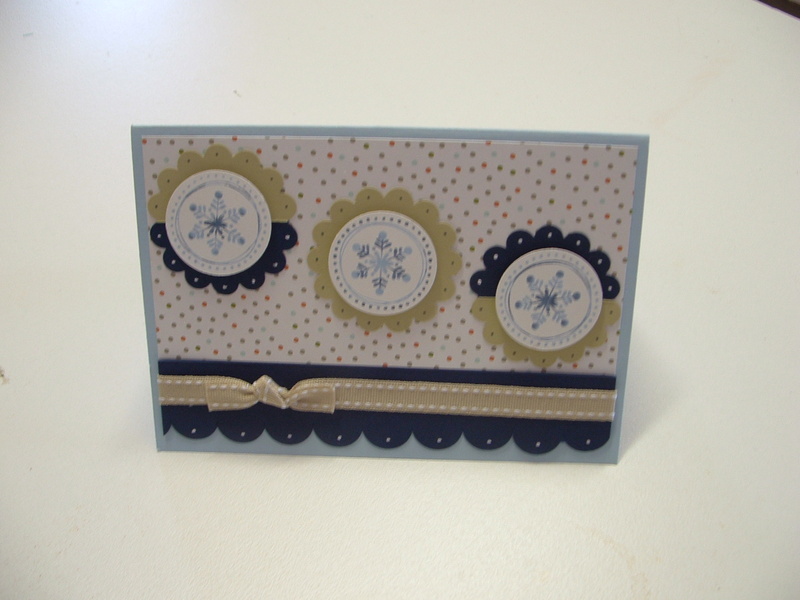 It’s a card using the Snowflake Spot Stamp Set. The colours and style arn’t traditionally Christmas, however I like the quirky take on all things so these colours and style really appealed to me! The technique used to highlight the snowflake, was pen to rubber, using bashful blue and night of navy. The scallop edge was made using the slit punch and the small 2mm punch to highlight each scallop. Hope you enjoy the quirky colours and style too.